For most of our GP training (and especially during our GP placements) we've had ‘day release’ on most Wednesdays, and today was our final session. For those reading this who aren’t yet GP trainees, day release is the time in the week where we get a reprieve from our clinical responsibilities and have an opportunity to meet up with our peers in small groups to see how things are going. Of course, there is a bit more structure to it than what I am describing at the moment. We usually did a PBSGL module (short for Problem Based Small Group Learning) where we had discussions around a particular topic that we had identified as a learning need. In addition to this, part of the session was facilitated by a GP who helped us to grapple with various concepts related to general practice as well as various difficult cases we had seen. But the most useful thing by far was to use the session as a means of providing mutual support in dealing with the stresses of learning how to be a GP and with life in general. In short, it was always nice to have a bit of a breather in the middle of the week. I’m quite certain it has been a sanity saver on many occasions, especially in the lead up to our various assessments, reviews and exams. Anyway, today was our final Wednesday. Everyone had brought along various breakfast goodies and extra time had been allotted so we could consume it all and have a generally nice time. The whole thing was making me feel quite nostalgic. The last four years had been hectic, especially the last 12 months. But we had done it! High fives all round! For me, the experience of GP training has changed me for the better. It has not been passive ‘learning by osmosis’ type of training, but an active, challenging, mind over matter kind of experience. Considerably harder than I had expected, but far more worthwhile too. Today though, the overwhelming feeling among us (as far as I could tell) was one of optimism. Sure, we were being plunged into an area of medicine where massive challenges lie ahead. But isn’t that part of the fun? One thing is for certain though, I’m definitely going to need some kind of substitute for Wednesday day release. Is anyone up for organising something? No sooner have we completed the inductions for the August 2015 entry to GP Specialty training than the whole process starts all over again! The timetable for GP Specialty Training commencing August 2016 has been released and is shown above. So now is your opportunity to make that life changing decision and come to the North of Scotland for your GP Specialty training. Aberdeen "Second Best Place To Live In The UK"
Aberdeen has been voted the best city in which to live in Scotland, and second best in the UK. The Granite City came second only to Reading and was judged as being a better place to live than Glasgow or Edinburgh. A recent report by PricewaterhouseCoopers (PwC) and think-tank Demos found that Aberdeen scored highly in a number of categories, including jobs, health, income, skills, work-life balance, house prices and travel time. Femi Omatara has just completed our 4 year Grampian Program and has been kind enough to share his thoughts on his experiences over the last 4 years. I have just completed my 4 year GP training program and thought I would share my experience to help others considering doing the same training in the North of Scotland. My journey started in August 2011. Are you considering applying for General Practice Training but not sure if it’s for you? 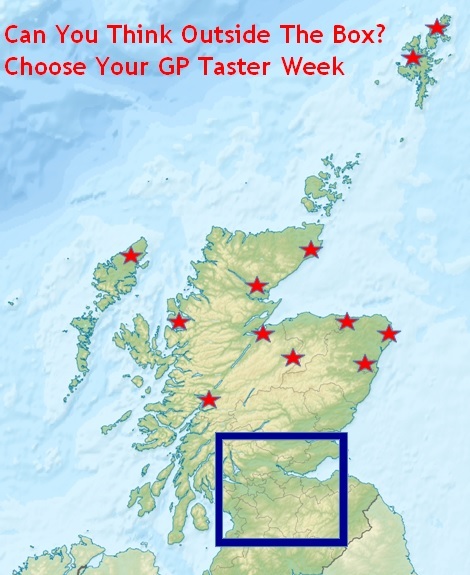 Are you an FY2 planning a GP taster week but not sure where to go? We are here to help. In the North of Scotland we have done the hard work for you. 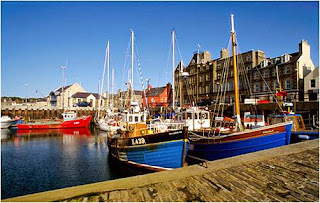 The North of Scotland regularly tops the quality of life surveys for both Scotland and the UK. In this latest survey looking at "Best Places to Raise Children", published by Bank of Scotland, areas covered by the North of Scotland GP Training Schemes fill the top 5 places with Orkney, Shetland and Western Isles filling the top three places in that order. The islands were closely followed by Aberdeenshire and Highland in fourth and fifth places with Argyll and Bute also in the top 10 in eighth place. Read more in these articles from the BBC and The Times.